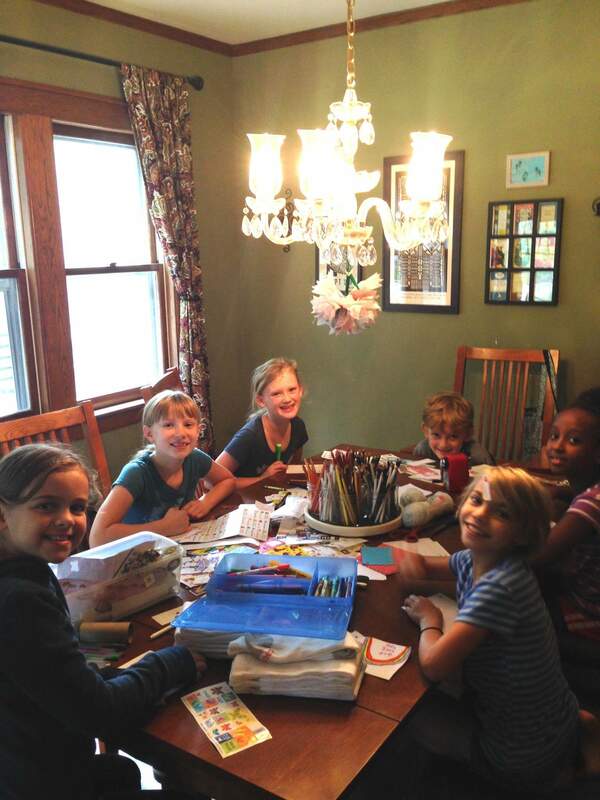 Last October we featured World Changer, Mary Reczek. 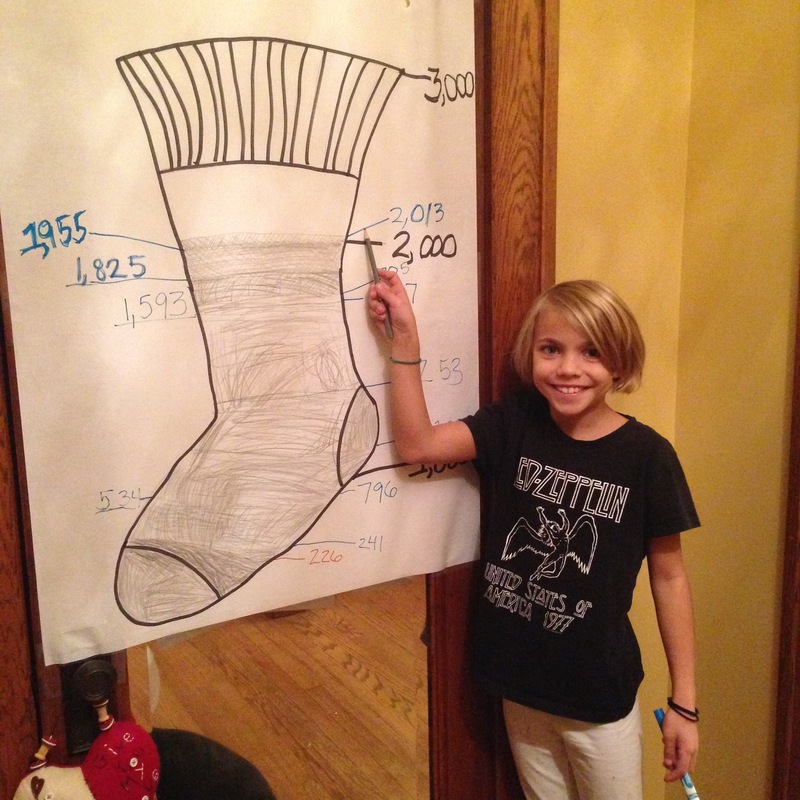 She’s a little girl in Wheaton, Illinois who set a goal to collect 800 socks for SOCKTOBER. But she received 1370(! ), and with plenty of October left to go, she upped her goal to 2000(!). 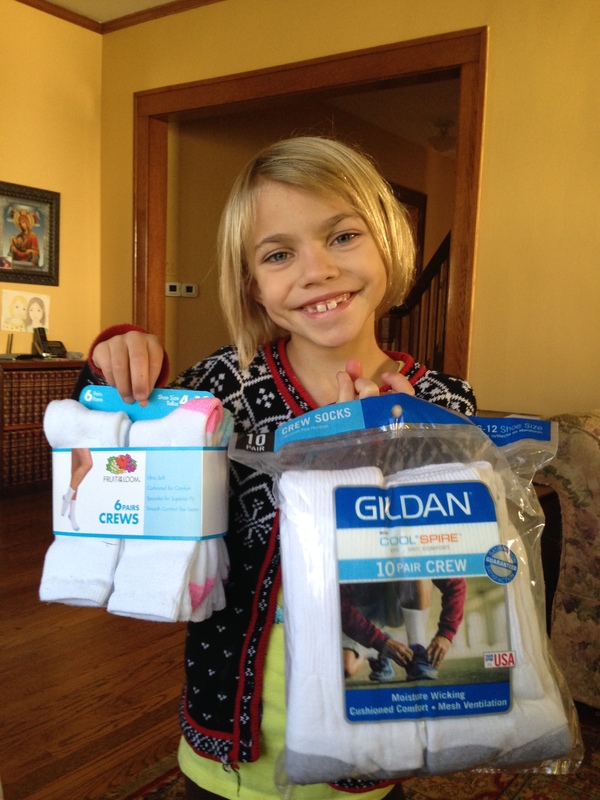 Last year Mary received 2635 pairs of socks for Chicago’s homeless! After that, Mary, and her brothers, Charlie, and Sam, went with World Changer Warrior Gayle Bloink several times into the city to feed, clothe, and pray with the homeless there. The socks lasted almost an entire year. Because they had so many socks generously donated last year, they were able to always have socks with them when they brought food on Saturdays. The socks were almost more important than the food! 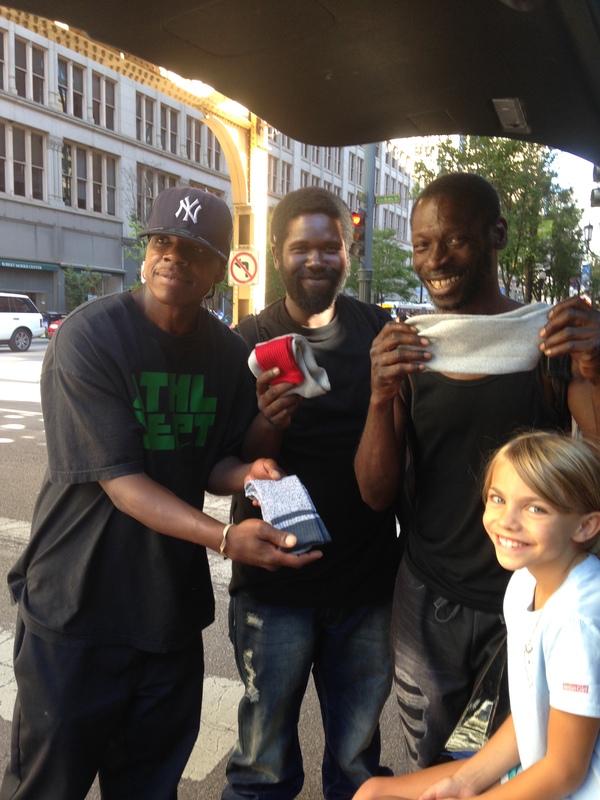 So many homeless friends have come to hope for socks each week. It is difficult to turn them away. Mary hated when she would run out on any given week. Mary is 8 years old. She has two older brothers, Charlie and Sam, a cat, and a bearded dragon. She loves people, is brave (had two open heart surgeries as a baby), and has a tender heart for suffering. She’s naturally outgoing and has a smile always at the ready. How did she get this idea? 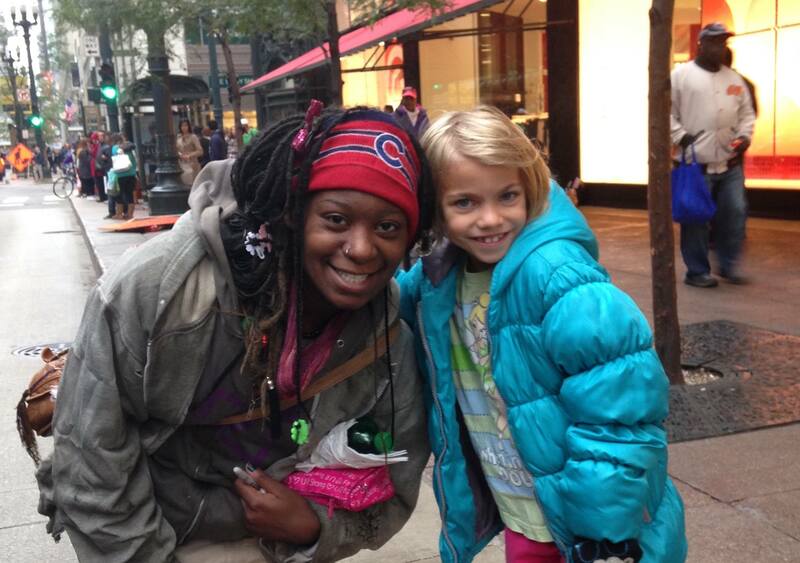 A few of years ago, a friend from church (Gayle) invited our oldest to go with her downtown to feed, and pray with, Chicago’s homeless. This is a a grassroots effort. They just walk around the Loop seeking need. Mary begged to go, and finally on Christmas Eve 2013 she was able! She loved it and goes as often as possible ever since. She sees a lot of “regulars” so knows some of them more personally. Why did she choose Socks? Why does she want to do this? 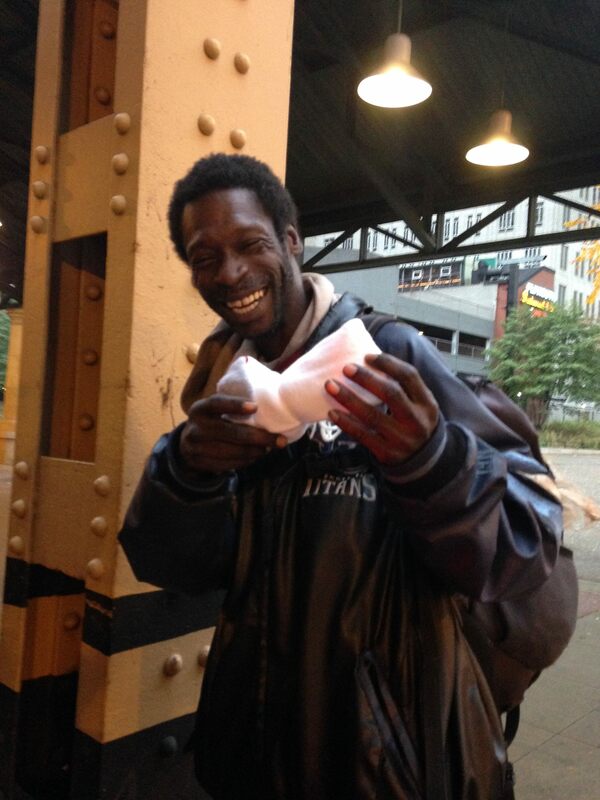 How do the homeless people in Chicago get the socks? 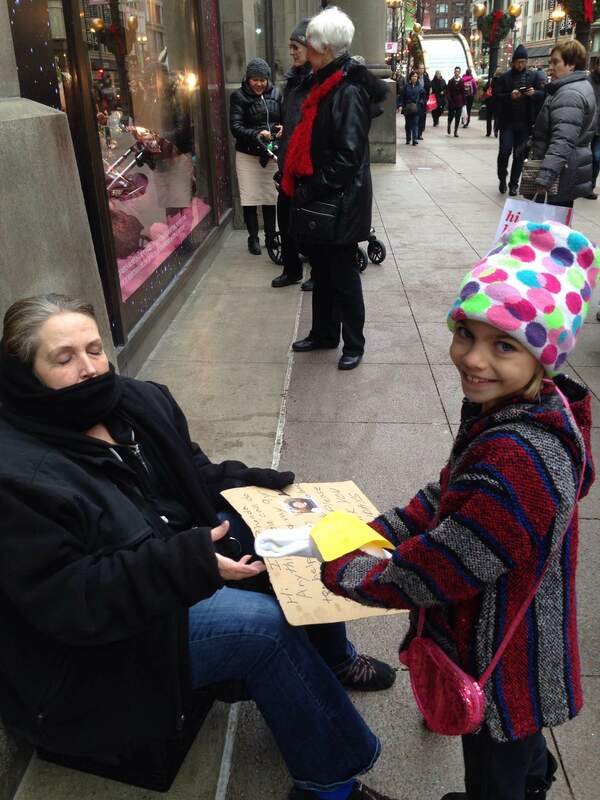 Please help Mary get 3000 pairs of socks for the homeless in Chicago by 10/31/16! Right now she has 2189 pairs. 811 pairs to go! 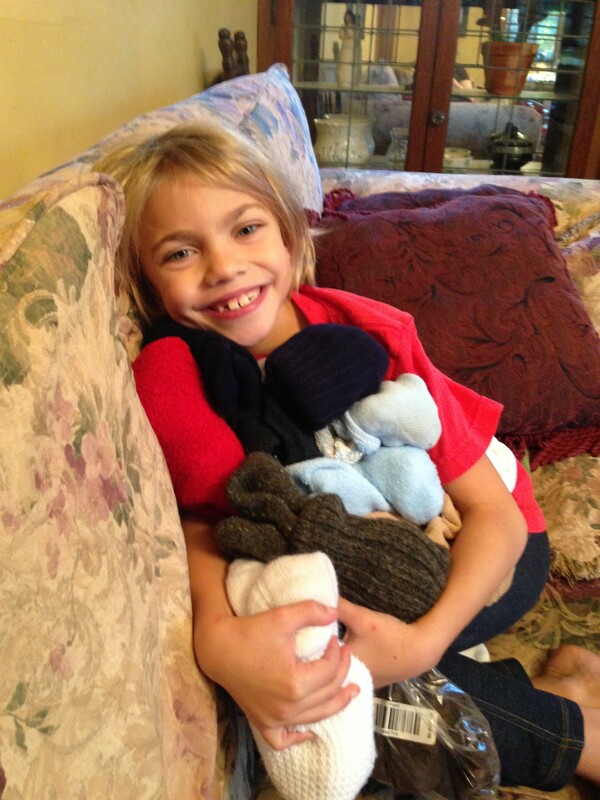 Here is the amazon link to send socks directly to Mary. Lord, thank you for Mary! You are shaping a tender, strong, beautiful, inspiring World Changer in this 8 year old girl. She is inspiring and teaching us. Please soften our hearts to see and hear the people you put in our paths. Thank you for your mercy and grace. Amen. To read about Mary’s adventures last October you can read Mary1 and Mary 2.